Stones and bones, brooms and fire. In the olden days, the night before May 1st was spent burning brooms or effigies of witches in big bonfires to ward off evil. Witches were thought to gather at the Brocken, a mountain in Germany where they held their strange revels around infernal fires of their own. Dead things might come galloping up out of their graves to follow the witches and join in their wicked revelry. Wild storms preceded and followed the witches and the Wild Hunt on their nighttime gallivants. It’s terrifying stuff, but like most fairy tales, people don’t really believe in it anymore. But maybe they should. I’ve loved Walpurgisnacht since I first started observing it as a complementary holiday to the more often observed Beltane or May Day. I even did a post on it last year, which has been one of my most popular posts to date, actually. 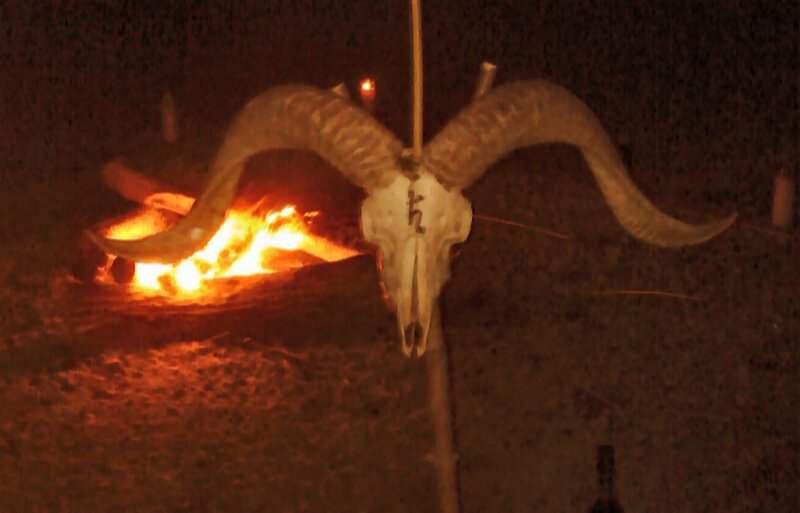 This year, the group I do my social witchcraft with celebrated Walpurgisnacht together, and it may have been one of my favorite gatherings to date. 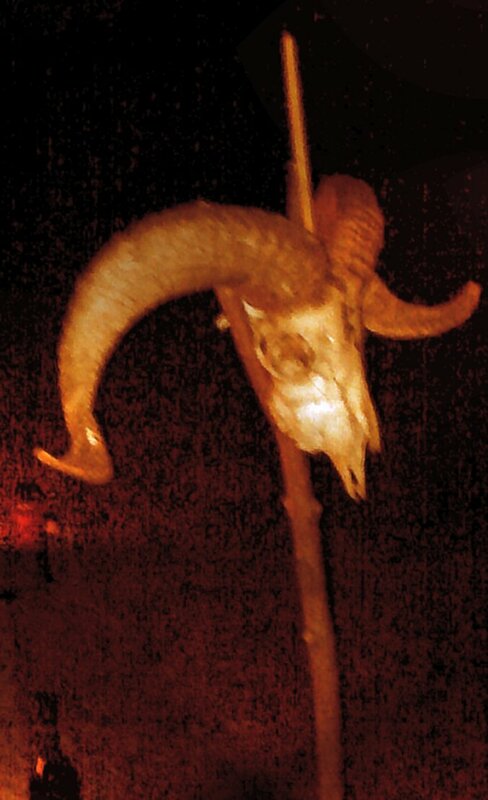 It started with a bonfire in a park about 500 feet from a big Boy Scout campout. Or, rather, it really started the day before when I am sure I piqued the curiosity of a few neighbors by hiking into our local woods, dropping handfuls of something powdery and muttering to myself at certain locations on the forest perimeter, then emerged moments later with a big, heavy object under my arm. I spent the rest of the day piecing together all of the elements I would need to fulfill my duties at Walpurgisnacht—sorting candles, making magical gifts for my co-coveners, bringing the appropriate skulls and bones and broom and stang down to my car under cover of darkness so I wouldn’t have to drag them out the next day while the neighbors looked on (they already had enough reason to look at me funny, why add to that?). When I pulled into the camp, the scouts were swarming. As I struggled to gather some firewood from a rather flooded site, a number of the boys approached, waving glo-sticks and flashlights and demanding (in a charmingly pirates-and-lost-boys way) “Who goes there? !” Apparently some older kids had been running around trying to scare them earlier, so I had to vouch that I was not, in fact, a “robber” as they put it. By the time our leader had arrived, the scouts had pretty much removed themselves to the far side of the camp and were engaged in what looked like a snipe hunt (bless ‘em). We got the fire going and arranged everything we would need for the night. 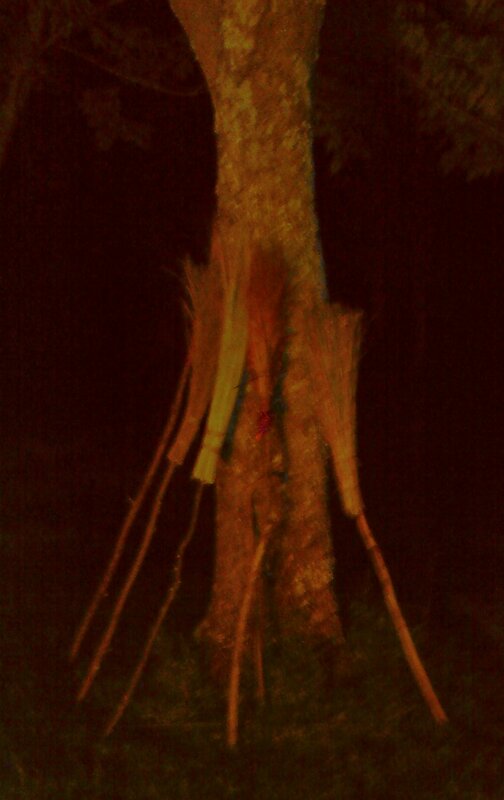 Walpurgisnacht proved to be a great night for a few witches to gather around a bonfire, calling upon the dead, riding brooms, leaping through flame, and generally doing all the things the fairy tales say. We may not have had storms on the Brocken, but the winds definitely started rising before all was said and done. At one point, I very seriously had to say, “If you hear the sound of horses’ hooves, drop to the ground and don’t look up.” Maybe it was just my imagination at that point, but the air certainly seemed ripe with witchery.